Aluminum alloy mouse pad has been playing an important role in the field of the mouse pad. Because of its own aluminum metal features, the aluminum mouse pad has the advantages of high smoothness and convenient cleaning. This makes friends used in the aluminum pad always favor these features, of course, inevitably including unfolding and foot sticking. The disadvantages of high wear degree, but the flaws are not unique, compared with other material mats, each has its own advantages. At present, the keyboard, mouse and mouse pad made of aluminum alloy materials in the market have the advantages of beautiful, light and good quality. Many manufacturers are developing and selling, which is a big trend in the future. 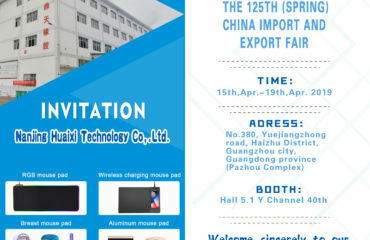 Here we take the mouse pad alone to say: The theme of the aluminum mouse pad promotion is: the new concept, the new idea, the pure mouse pad of the new fashion. The aluminum alloy mouse pad is usually made of high quality imported aluminum alloy, surface sandblasting and anodic oxidation. The principle of ergonomics is used to design and reference the advanced optical reflection design technology in the world. The photoelectric mouse light source is reflected faster and more accurately, and the response time of mouse sensor is shortened. The bottom is equipped with high temperature and high pressure natural rubber anti-skid pad, which solves the limitation of moving the ordinary mouse pad in strong use and effectively prevents the mouse pad from slipping. Aluminum alloy surface particles texture and delicate, overall meticulous, smooth, smooth, small sliding resistance of the mouse, smooth movement, at the same time have a superior sense of manipulation, accurate positioning, the use of comfortable, no need to worry about the wear and tear of the mouse.